Own a little piece of Evergreen history within walking distance to the Evergreen Lake and downtown. 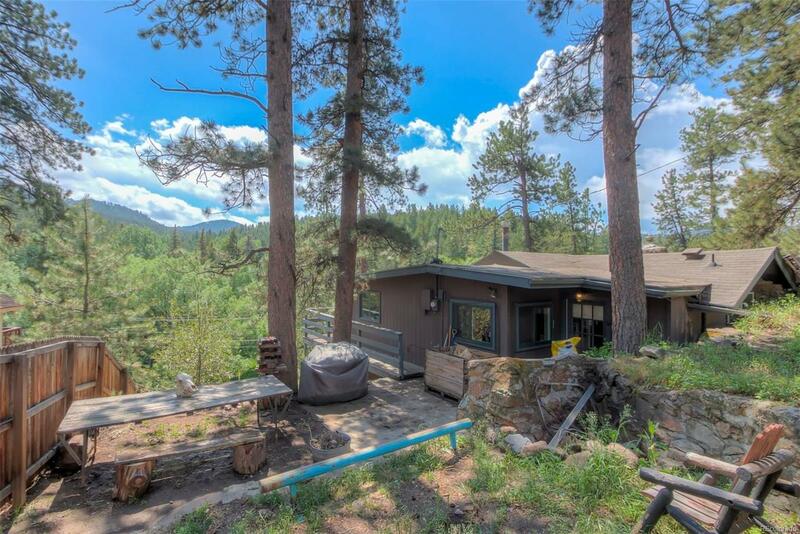 This charming cabin with Industrial Sheik style puts the "fun" in funky! Light and bright, yet cozy, this three bedroom house with two updated bathrooms and spacious great room has lots of outdoor space for grilling and entertaining in the warmer months and a wood-burning fireplace to curl up by in the cooler months. Priced to sell, this 100 year old home will need some deck repair and is being sold AS IS. It's move-in ready and super cute, so much potential!